Product Customizer's premium plan includes Conditional Logic, which allows you to further customize how your product options appear in your store. Using conditional logic, you can show or hide options based on the values of other options. 1. First, select a product. 2. Then, once you have added options to your product, click the conditional logic tab at the top of the page. 4. Add logic to your new rule. In this case, the embroidered option will only show if the shopper selects the color red. Try adding some conditional logic to your customized products! Note that removing a product option will also remove its associated conditional logic rules. This feature is currently still in Beta, and we would love to hear your feedback. Send us a note at help@shopstorm.com. 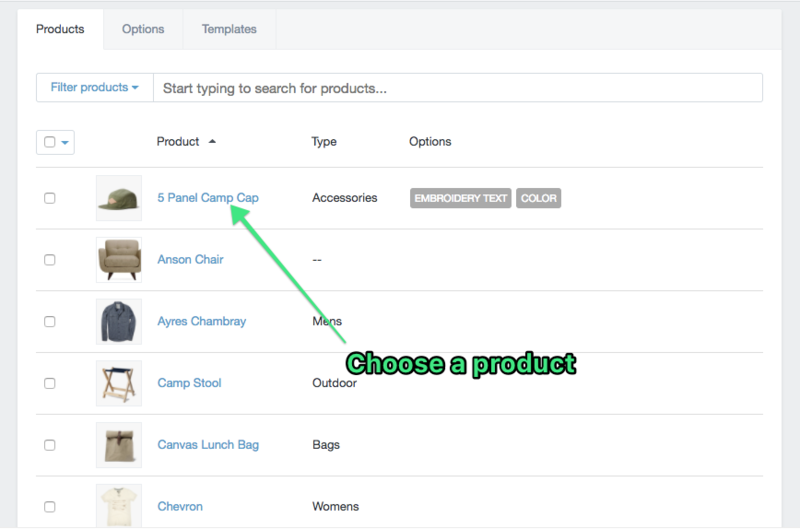 Product customizer allows each rule you create to have more than one condition. Then, you can decide if the action should be executed when all of them are true, any of them are true, or none of them are true. 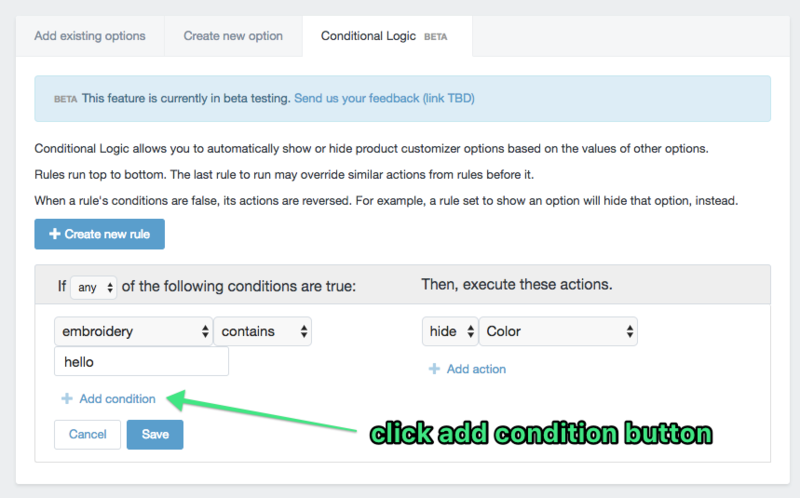 To add more than one condition, navigate to the conditional logic tab on your chosen product. Note that you can also add multiple actions for a rule as well. 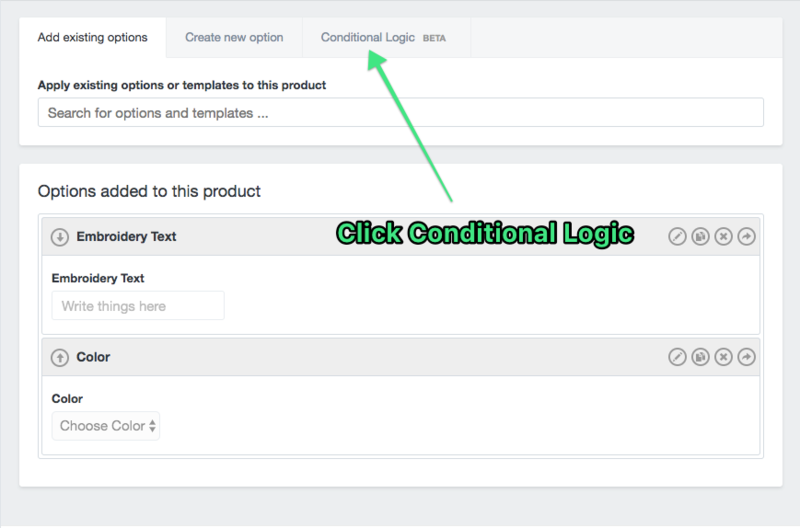 Each product in your store can have multiple conditional logic rules applied to it. 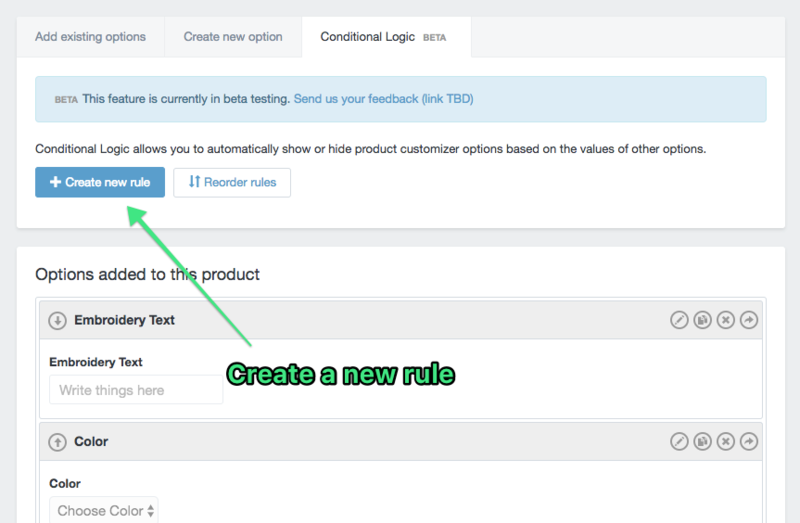 To add more than one rule to your product, start by clicking the Create new rule button. One thing to note is that if you have more than rule applied to your product, and the two conflict, the later rule will override a rule higher on the in the list. Since the hide rule comes last in our store front the embroidery field will be hidden when the color option is set to red. We can drag and drop our rules to re-order them. That way, you can control which rules take precedence.